Home > Blog > Wood vs. Vinyl Windows: Which is Best? Weighing your options with windows can be a difficult procedure, especially if you aren’t aware of all of the intricacies involved in window attributes and manufacturing. Making an investment in windows is not something that can be done lightly, as there are pros and cons to each type of window style and material. In this article, we’ll go over the main differences with wood vs vinyl windows. Homeowners often find themselves stuck deciding on wood or vinyl windows, the two most popular choices in terms of material. Wood windows rest on the traditional side of aesthetics, but since the 1970’s, vinyl has upended wood and has become a deft competitor. You may have heard the argument of wood versus vinyl before, but now that it is time to replace the windows in your home, which one is truly the best option? Maintenance is the first attribute to come to mind in the search for new windows. No homeowner wants to buy brand new windows and be forced to upkeep them on a yearly basis—or more often. As you continue your research into the varying materials used for windows, you will come to find that maintenance is one of the top factors that separate wood from vinyl. The reason behind vinyl’s increasing popularity rests on the fact that this material requires hardly any upkeep or maintenance to keep them operating smoothly and looking good. Alternatively, you will find that wood windows are in need of sanding, staining, and a fresh coat of paint, sometimes more than once a year depending on what climate they find themselves in. 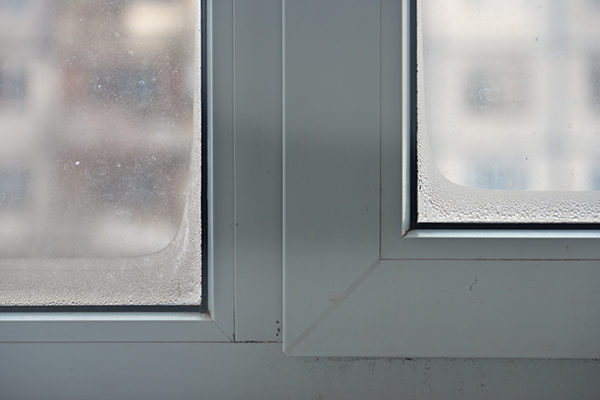 Minimally, vinyl windows may need a few replacement parts after a few years and a good wash down to get the grime and dirt from the outside elements off of the unit. With vinyl, the beauty of this material is what you see is what you get, and this material does not become weathered over time nor do these windows yellow or deteriorate. You can also skip the paint for your vinyl windows, as they are available in an array of colors that are pre-painted from the manufacturer. How much will I save on my monthly energy bills? This is the driving question behind a new window purchase and an important one for the environment. The government recognizes the effect windows have in relation to the amount of energy that is expelled in the average American home, which is why the Energy Star program was created. These days, nearly all vinyl windows are Energy Star Certified, meaning they are manufactured to certain standards to help maintain energy efficiency in American homes. 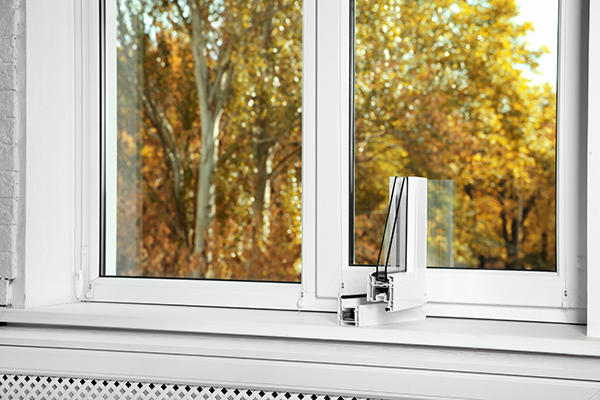 Vinyl and wood windows are competitively tied when it comes to energy savings. Wood is a natural insulator, which is why it has reigned for so long as the supreme material to build and construct with. Due to vinyl being a cheaper option for homeowners, manufacturers have begun using gases to fill between the windows to prevent energy loss, such as argon and krypton, essentially setting vinyl windows up as an equal competitor to wood for energy conservation. Energy conservation is key in selecting the right type of window, and for this particular category, wood and vinyl are essentially tied. This is one less aspect to worry about in your decision-making process, and knowing that vinyl or wood are both excellent insulators can allow you to focus on other factors. How unique do the windows on your home require? Are you looking for a certain color or size that may be hard to find? Fortunately, vinyl windows are offered in numerous colors and can be sized to fit any opening of a home. Its ability to be tailored to a home is due to its cost effectiveness to allow for greater versatility. 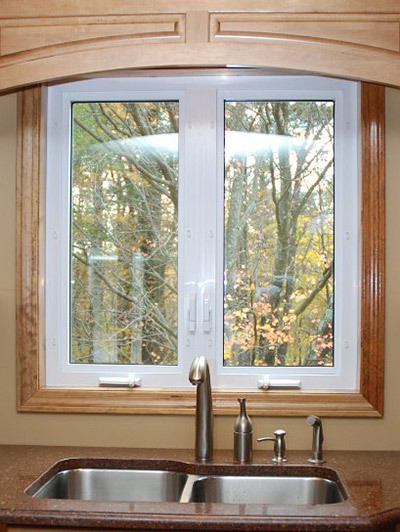 Wood windows cannot adhere to individualized needs as well as vinyl windows can. Wood is more expensive and time-consuming to install, and many window companies no longer offer these options to customers in need of specialized customizations for wood materials. If a homeowner wants a specially designed window tailored to their home, they will most definitely pay the price, and in many cases, struggle to find an installer willing to do the work. Homeowners aren’t looking to break their banks when it comes to the big investment of new windows. 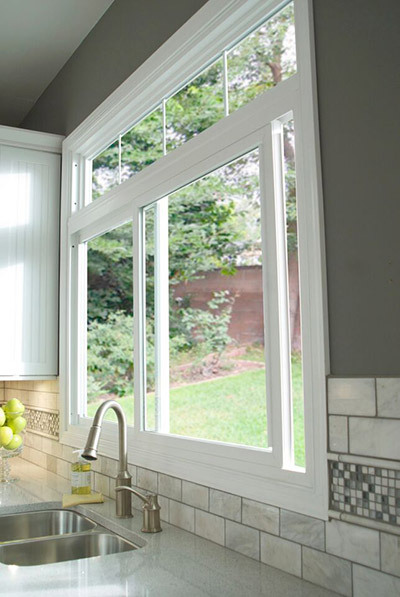 The reason why vinyl windows took off after its initial introduction to the home improvement market was that it was a cost-effective product to both manufacture and install. 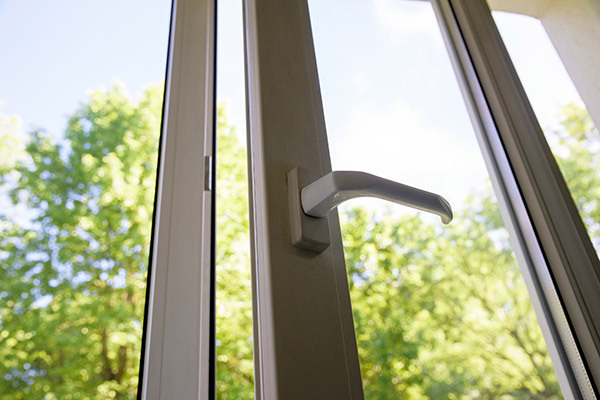 Homeowners immediately benefited from this as well, as they saw the savings from window companies being passed on to them in their purchases of vinyl windows. Today, vinyl is still a cheap option but this material gives houses great quality windows, an all-around win for homeowners. Wood, on the other hand, it has a comparably large cost factor to vinyl. Wood was the industry standard, but vinyl came along with its ability to be produced quickly and with little cost to companies. Wood is not as easy to install as vinyl is, and with more and more companies turning to stock just vinyl, wood can be hard to come by as an option. Any specialized installment or construction of wood windows is going to be expensive because it requires a greater amount of both time and labor to complete. 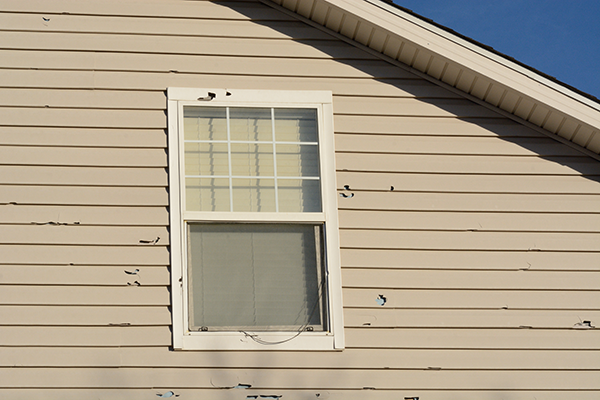 Lead-time and availability are important variables to consider in the purchase of new replacement windows. Depending on your geographical location, you could be waiting a long time to have a window company install new wood units in your home. Bigger cities, of course, have more options for window installers, and but rural areas and small towns could be limited in their selection of materials and choices. These days, wood has taken up the backburner on window material options, and many suppliers do not have the material readily available, or in some cases, do not offer wood windows at all. Alternatively, vinyl can be made cheaply and quickly, but still, offer the same high quality as wood. This is no surprise that window companies and window manufacturers prioritize vinyl over wood, because vinyl is easier to install, requires less manpower and hours of labor, and it also allows for a more efficient means of manufacturing. The Verdict: How Do Vinyl and Wood Weigh Against Each Other? There is a reason behind vinyl’s boom in the market of window and housing material, setting it up as wood’s biggest competitor. By now, you are well aware of these factors—its versatility, its ability to be made cheaply and quickly, the ease of installation, the customization options, and of course, how little the consumer pays in comparison to wood. For a home you are planning on staying in forever, a beginning home, or even just a temporary place, vinyl windows can be tailored to any of these stages of homeownership. Unless you are truly after the look, feel, and material of wood, there is really no reason to select wood over vinyl. Both are excellent at energy efficiency with many vinyl windows being Energy Star Certified, which is often the determining factor when it comes to be decision time for a homeowner in search of new windows. Vinyl outshines wood in areas of customization, availability, overall cost, and maintenance, all things to consider when choosing a window material. You’ve heard the verdict, vinyl windows rule. Light, energy-efficient, and long lasting, what’s not to love? If you’re looking to get your next window project started, look no further. Get a Free Quote with Feldco today.